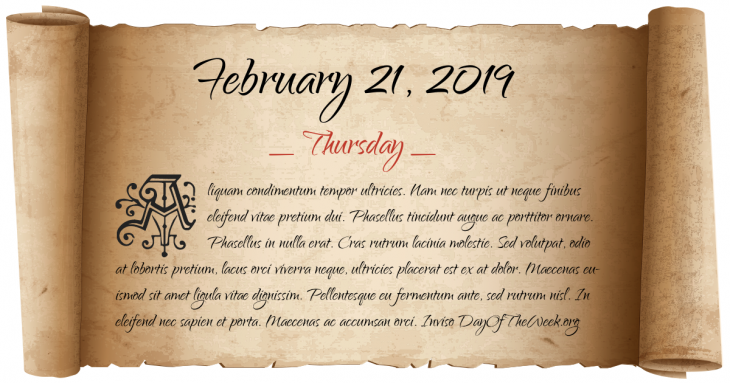 What Day Of The Week Was February 21? In addition, it’s the first day of the astronomical winter. Kurt Eisner, German socialist, is assassinated. His death results in the establishment of the Bavarian Soviet Republic and parliament and government fleeing Munich, Germany. “ভাষা আন্দোলন”, “Bengali Language Movement” occurred in East Pakistan(now Bangladesh). Who were born on February 21?